On October 21, 2018, Marino Luigi “Gino” Pasin of Edmonton passed away at the age of 84 years. Gino is survived by his wife, Arlene; two sons, Dave (Kathy) and Dale; grandchildren, Taylor, Erin, Max and Ben; great-granddaughter, Bella; sister, Carmella; and brother, Alfredo (Anna Maria). Predeceased by his parents; and brother, Bruno. Thank you to the doctors, nurses and staff on Unit 18 at the Royal Alexandra Hospital. Celebration of Life on Friday, October 26 at 1:30 p.m. at Park Memorial Chapel, 9709 -111 Avenue. 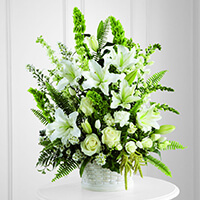 In lieu of flowers, donations may be made to the Kidney Foundation of Canada - Northern Alberta and the Territories Branch, #202, 11227 Jasper Avenue NW, Edmonton, AB, T5K 0L5. 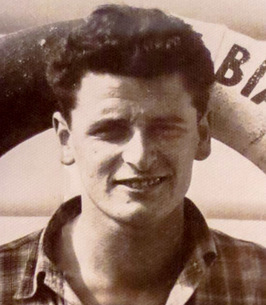 We encourage you to share any memorable photos or stories about Marino Luigi "Gino". All tributes placed on and purchased through this memorial website will remain on in perpetuity for future generations. My deepest condolence to the Pasin family, keeping you in my thoughts at this very difficult time. I will keep warm memories of Gino.